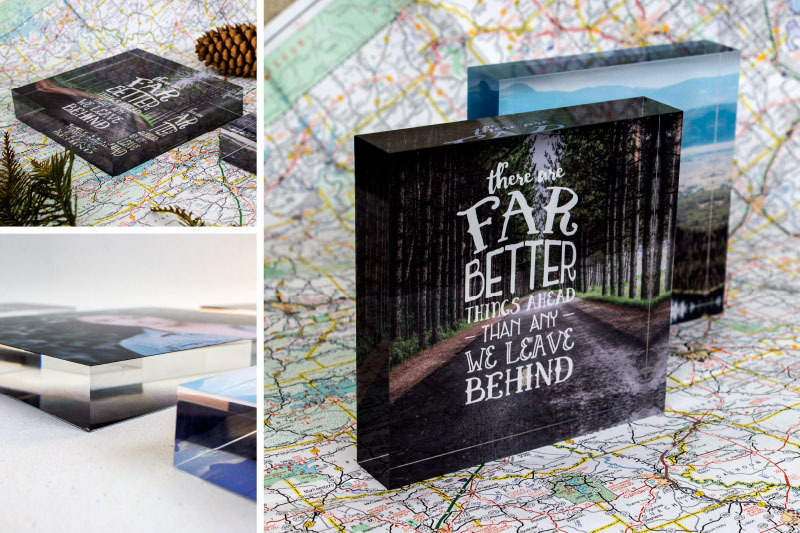 Our 5×7 and 8×10 Acrylic Photo Blocks are so popular we thought you’d love the new square aspect ratio, too! This new 5×5 size is perfect for adorning your studio with your behind-the-scenes Instagram shots, travel photos, for inspirational quotes, and more! Choose from Gloss Giclée or Metallic Photo paper and finish it with an optional white or black backing for a sleek, professional look. 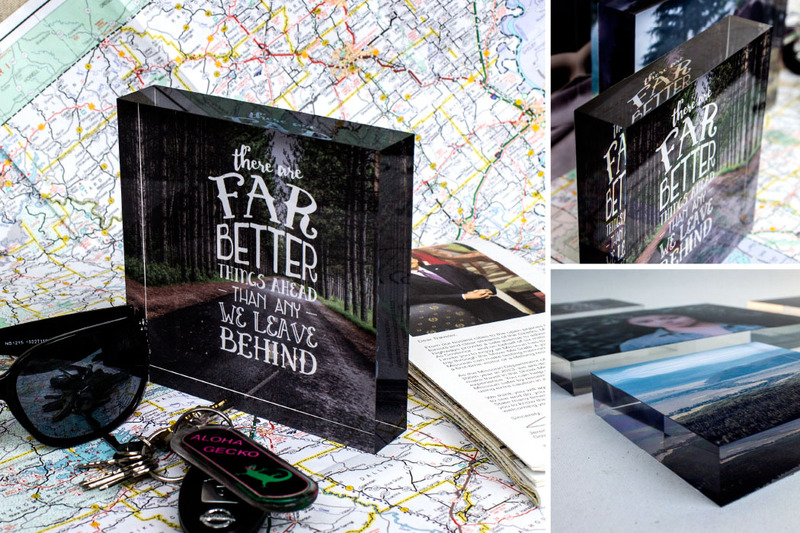 The deep reflective nature of our Acrylic Photo Blocks enhances any photography type, but is very well suited for interestingly lit scenes, seascapes and other natural water photography. Bonus: Need a workspace pick me up? Download our FREE Template and overlay your square acrylic image with this beautiful typographical quote. Use it as a reminder to keep moving forward on your creative journey! Click here to download the FREE Template.